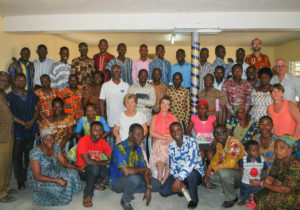 One of the goals of our mission is to work with local churches and other Christian organizations. Our heart is to contribute to the building up of the Body of Christ until we all come “to the measure of the stature of the fullness of Christ…” (Ephesians 4:13). 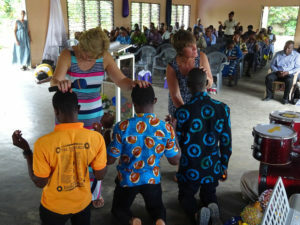 We do this through our Bible School and our Pastors and Leaders Conferences. Adidome is a small town where such programs are rare. Pastors usually have to travel to attend educational or training programs, and to receive spiritual refreshment. Because we are able to provide these conferences free and right in Adidome, many are able to attend and receive knowledge, understanding, revelation, and refreshment from the Lord. 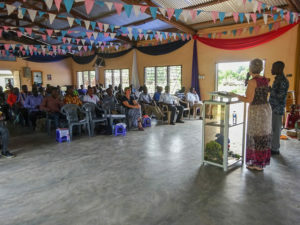 We began offering an annual conference in October of 2014, when Pastor Gerrie Armaly and a team came from Canada to reopen this mission site. In 2016, we held two conferences. We will have other conferences as anointed speakers are available. We sense a growing intensity of the Lord’s presence in our conferences as we see unity in the Spirit increasing among pastors in the Adidome area.